The multi level fun shops and piano Millenium Lobby on the Carnival Freedom Cruise Ship. 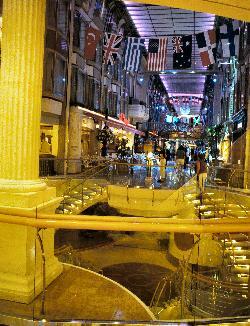 The multi story Royal Promenade in the Explorer of the Seas cruise ship. The level below the promenade can also be seen. Scanned from a negative. 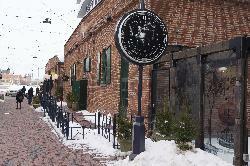 Photo of Grandma Lambe's store front. Taken during winter.